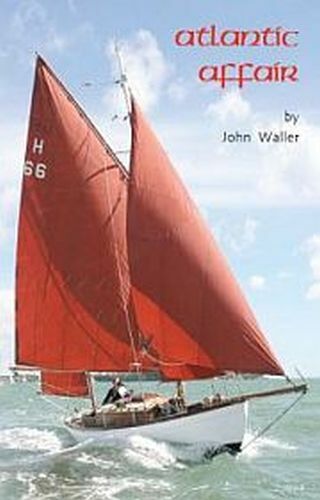 John Waller was born in Hythe, Kent in 1940 and was evacuated. After Cambridge University, he trained as an engineer at IBM and set up and ran a successful computer company in 1969. In 1970, he and his Danish wife Jannie built a minute house in Corfu, where he has written eight non-fiction books, two stage plays and a screen play after his retirement in 1999. He was Liberal Democrat Parliamentary Candidate for Twickenham in 1979, 1983 and 1987. John and Jannie take a trip of a lifetime on P&O’s MV Adonia to Japan to celebrate 50 years of happy marriage. For 112 days they travel from the Setting Sun in Morocco to the Rising Sun of Japan and back, recording the guides’ comments on the best trips in 50 ports. 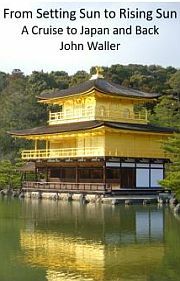 After Tokyo, they take the Bullet Train to Kyoto, the high point of their journey. Hiroshima is a shock. They compare China and India, one a free-range chicken, the other a battery hen but which is which? 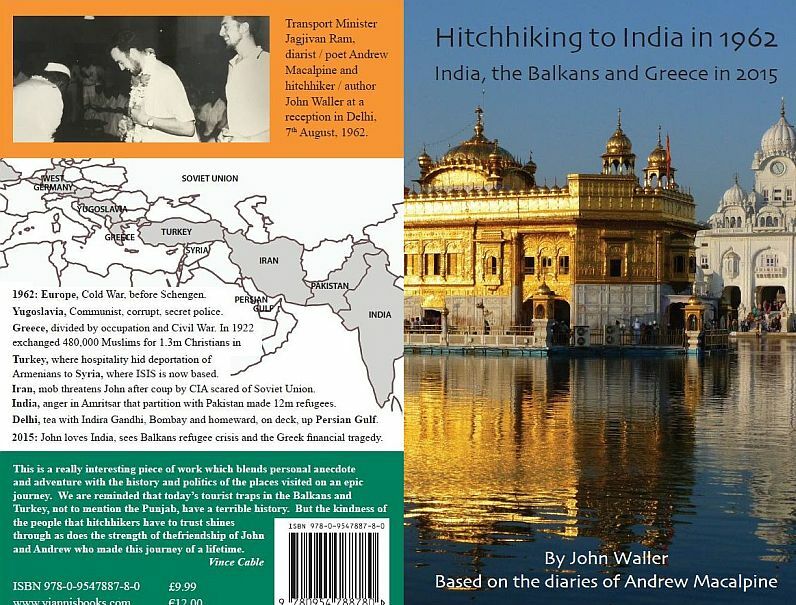 Two Cambridge students hitchhike to India through Tito’s Yugoslavia and Greece, recently under German occupation and then divided by civil war. In Turkey John records the deportation of Armenians to Syria where ISIS is today. In Iran, the CIA coup creates real danger for John. In Amritsar, there is anger over partition, and in Delhi they have tea with Indira Gandhi. 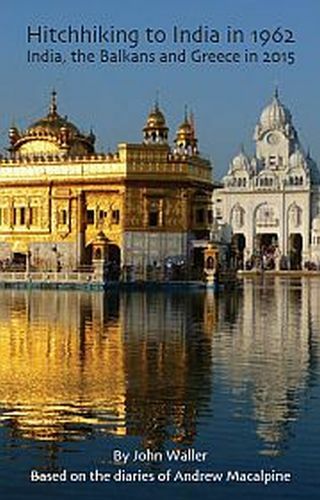 John revisits India, discusses the refugee crisis and Syrian Civil War in the Balkans and lives the Greek tragedy. 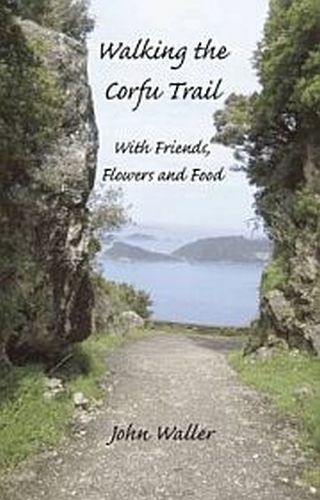 Three septuagenarians walk 180km of the Corfu Trail in eight days, from 18-30’s Kavos to picturesque Agni. 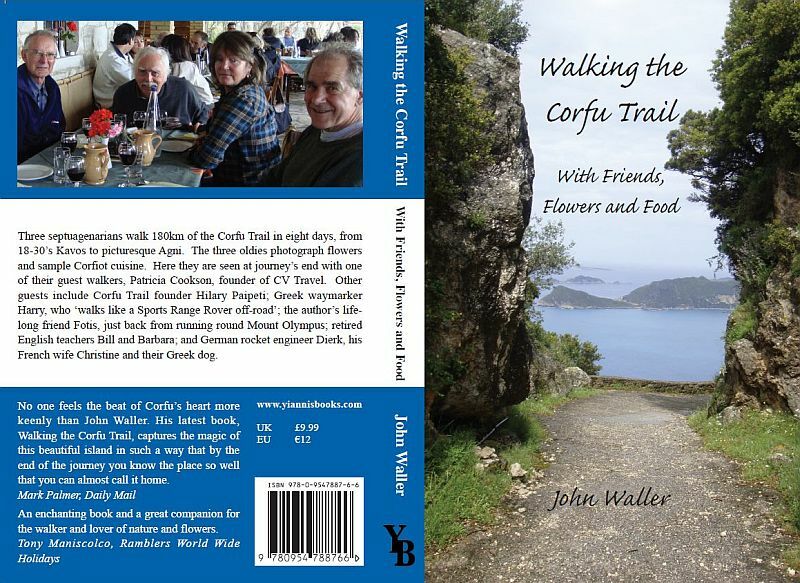 The three oldies photograph flowers and sample Corfiot cuisine. Each day their local guest-walkers tell their stories. These 15 interviews help one understand Corfu. The maps and description of their walk will be invaluable for those who want to experience this spectacular and hilarious hike. The photos of the flowers are the first published for the island. 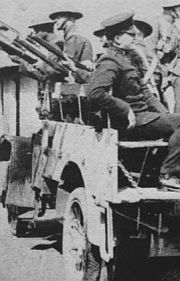 "In that early summer of 1920 the political storm clouds had gathered around Ireland. The dream of Independence, for which the blood of seven centuries had so often flowed, appeared as elusive and remote as ever. Promises, half promises and innuendoes evaporated, leaving first disillusionment, then bitterness and now open and active hostility … a crowning insult had been inflicted upon a harassed and poverty-stricken Ireland, when English jails provided 'soldiers' considered suitable to deal with the Irish question. "It is said that it is best to see an island from the sea. It is like seeing a girl from a distance. As you get closer her features become clearer: the curves of the mountains, the colours of the hills and the sparkle of the windows in little houses, woken by the rising sun. Nothing could have been better than the sight of Corfu as Jannie and I sailed on the Brindisi ferry through the Corfu Channel early on a June morning in 1966..."
"My first job is to check that George 'Pink Palace' Grammenos has moved his water pipes from my land where the bulldozer will be constructing the road. Not surprisingly, the pipes are still there, just as they were six weeks ago, when he promised to move them to the empty olive grove next door. "Avrio!" he had said. Tomorrow! I go ballistic. Nobody, but nobody, is going to delay the project. If he won't remove them I'll just cut them and throw them next door." 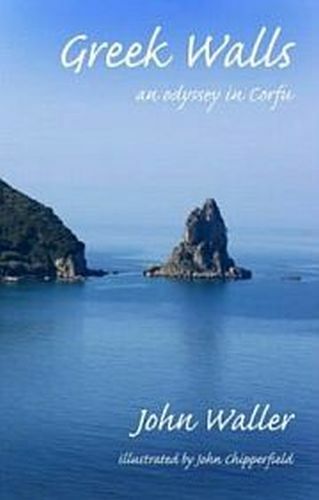 Corfu's World Heritage Site and villages, as seen through the eyes of an artist who has lived on the island since 1961. 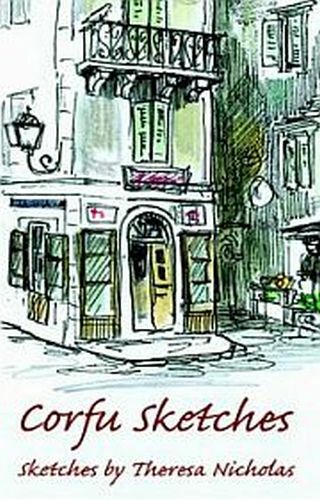 Enjoy five walks: along the Tourist Trail; through the Venetian Old Town to the Mourayia, the sea walls; to the Jewish Quarter and its synagogue; up the hill to the smart end of town and via the Old Port to the market. Then join in the Easter parade. Visit 30 villages, meet their people and see the work they do. Look carefully, little has changed. This will be a journey you will always treasure. 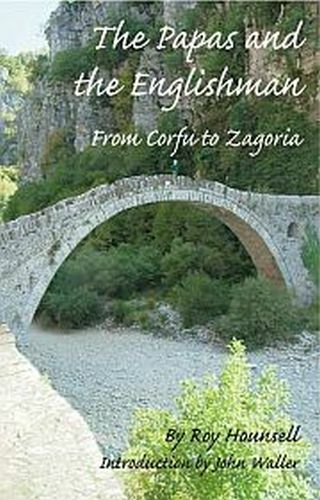 "When we first announced our intention of buying a house and living in Zagoria, a virtually unknown area of Greece close to the Albanian border, our friends looked at us askance. Clearly they were thinking, "They’re crazed with the spell of far Zagoria. It has stolen their wits away!" Well, if our wits have been ‘stolen away’ we can only say we are a good deal happier without them. Our life here, in the village of Koukouli, could not be more contented, more rewarding and trouble free. This is the story of our search for an idyll which, unlike most Holy Grails, we eventually found and held on to. 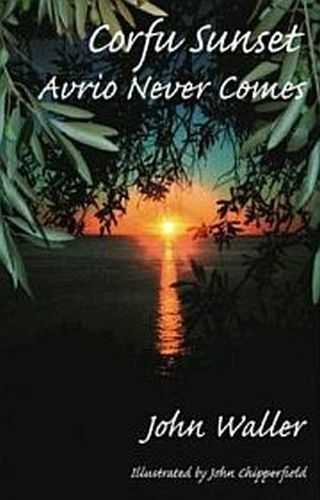 As with all stories it has a beginning and, in our case, that beginning happens to be in Corfu. So, read on – come with us on our quest and delight with us, witless as we are, in that quest’s end." 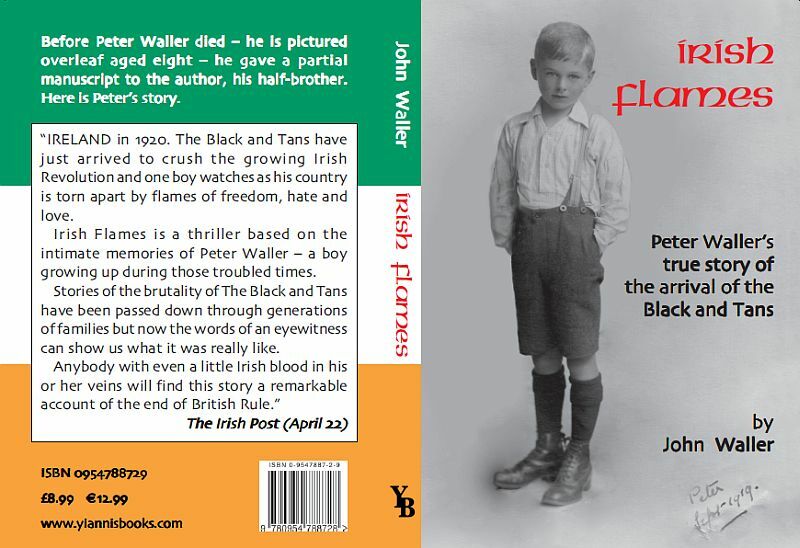 On Saturday June 14 1930, my Irish father, Otway Waller stayed with his friend and gunrunner, Conor O’Brien, in Foynes, Co. Limerick. Next morning he set sail, along the circumnavigation route taken seven years before by Conor in his yacht Saoirse (Freedom), in his own epic single-handed cruise to the Canary Islands in his 26ft yawl. Returning home on the Yeoward Line s/s Aguila, he fell in love – with my mother. 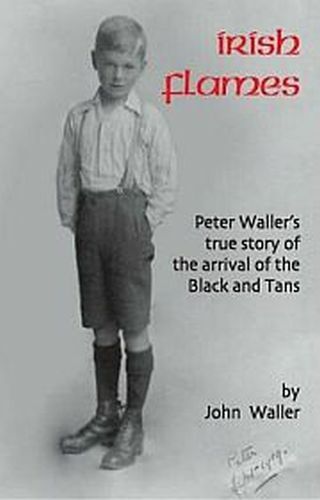 Back in Ireland he had a problem: he was already married with a son, Peter. John Waller wtites "The website Freedom Books and Plays brings together my views on Britain’s imperial history and its relevance today. Summers in Connemara have increased my love for Ireland – are we now returning to the Economic War of 1932, mentioned in the final scene of the play Flames of Freedom, and the friction before the 1998 Good Friday Agreement inherited from the 1920s as witnessed by my half-brother Peter in Irish Flames – the Arrival of the Black and Tans? I am particularly sad to see the treatment of youngsters from Europe whose future is uncertain."